Because I'm happy this morning, for no particular reason. And because, for no reason at all except random happiness, I remembered how much I love this poem. 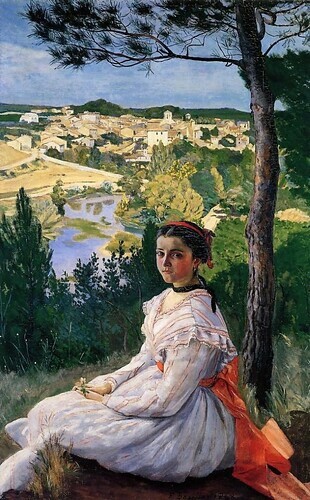 I'm pretty sure this is the painting Richard Wilbur had in his mind's eye when he wrote it: Jean-Frederic Bazille, "View of the Village," 1868. Pretty even on the surface and thought provoking at a deeper level. Love the painting too. Did you have a good birthday?